Join us for a drink from 8:30pm at the Horse & Groom, Roxwell Rd, Writtle CM1 3RU. We will be taking up from the earlier walk in 2018 that took us from St Paul’s to Westminster. On this second section we will walk from Westminster back to St Paul’s via the South Bank. I aim to visit Horse Guards and Whitehall, which we were prevented from seeing last time due to competing Brexit-related demonstrations. I will also take us through some of London’s attractive but lesser known streets. We should also see the Globe, the College of Heralds and some of the other historic sites and buildings of this part of London. There are cafés along the route but you may wish to bring some snacks. Meet at Westminster Underground Station at 1030. Join us at The Crown in Sandon to plan events for July and look over our risk assessments before our trip to the Lakes. 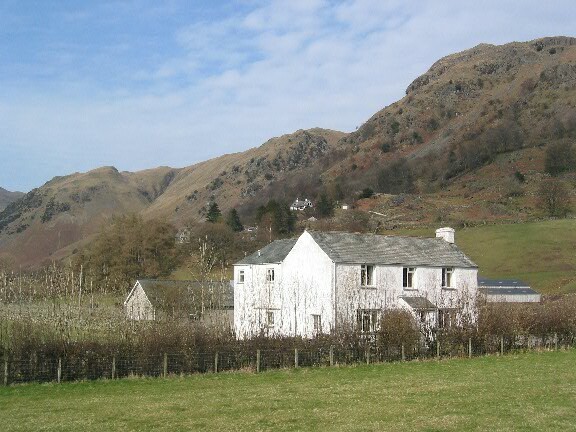 Five nights at the Langton Centre, Hartsop in Patterdale, at the foot of the Kirkstone Pass, near Brotherswater, 2 miles from Ullswater and in sight of Hellvelyn and the High Street range. An ideal location for some of the best walking in the Lake District. The centre has central heating, showers, a lounge with easy chairs, dining room and games room, a drying room and well equipped kitchen. Pillows and blankets are provided; you need to bring a pillowcase and sleeping bag or sheets and duvets. To find it, turn off A592 near Brotherswater onto the lane to Hartsop. We are in the big white house immediately on the left. Grid reference NY405133, postcode CA11 0NZ. Parking behind the house (by the games room, not in the lane). Cost will be about £18 per night including food, plus around £38 petrol contribution for those sharing lifts from Essex. Deposit £40 to book your place please. Join us for a meal at The Running Mare in Running Mare Ln, Chelmsford CM2 8PN. We plan to eat at 7:30pm. Please let Cress know by 10 April if you want to come.